For plastering, rendering, sealing and dust-proofing. Excellent primer for most surfaces. Improves workability and adhesion when used as an admixture. Seals concrete floors, plaster, rendering. 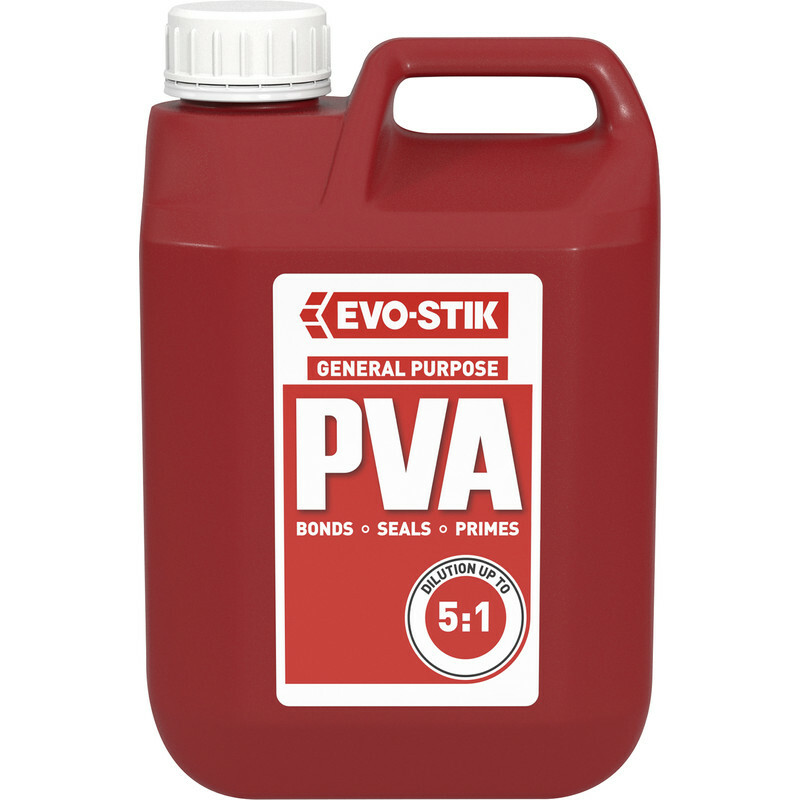 Evo-Stik PVA 5L is rated 4.0 out of 5 by 1.